← Craving spring? 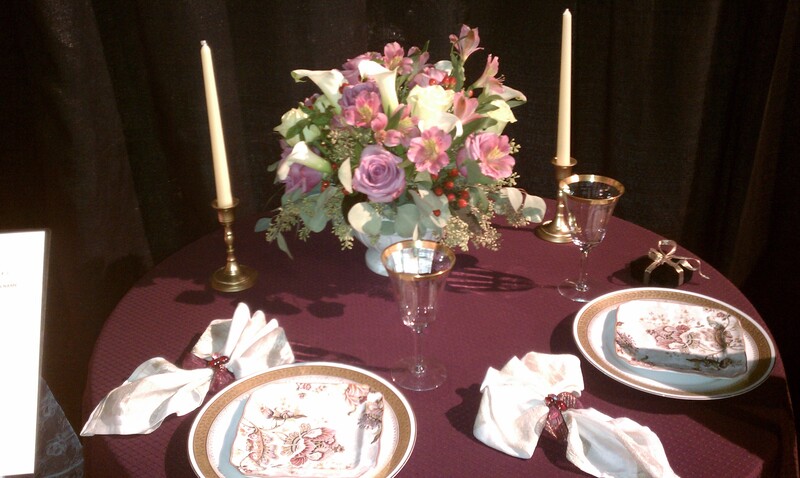 RI Flower Show opens next week! Hello all! 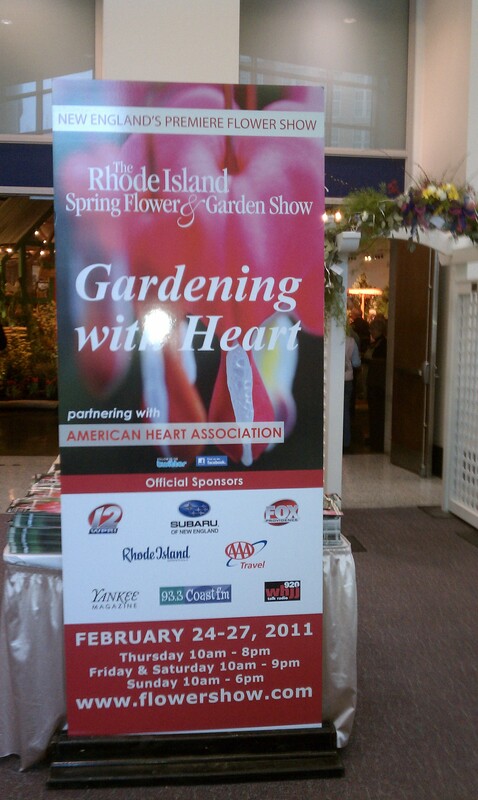 Drove through the rain and fog today to visit the “Gardening with Heart” Rhode Island Flower Show at the Providence Convention Center. 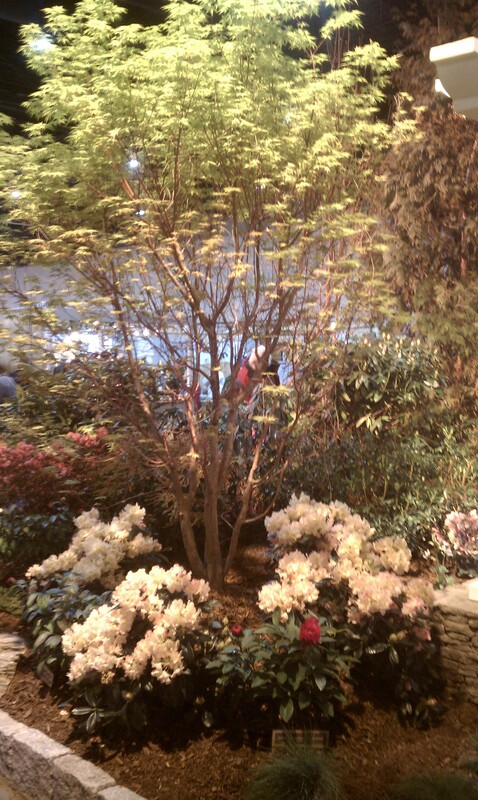 It’s a medium-sized show with a dozen or so well-done gardens. I especially liked the sun and shade garden with the artistic stone wall! Plus there is a terrific section with judged floral arrangements with place settings and a hat and bikini competition that was quite unique and smile-producing! People all around were oohing and ahhing at these sights! 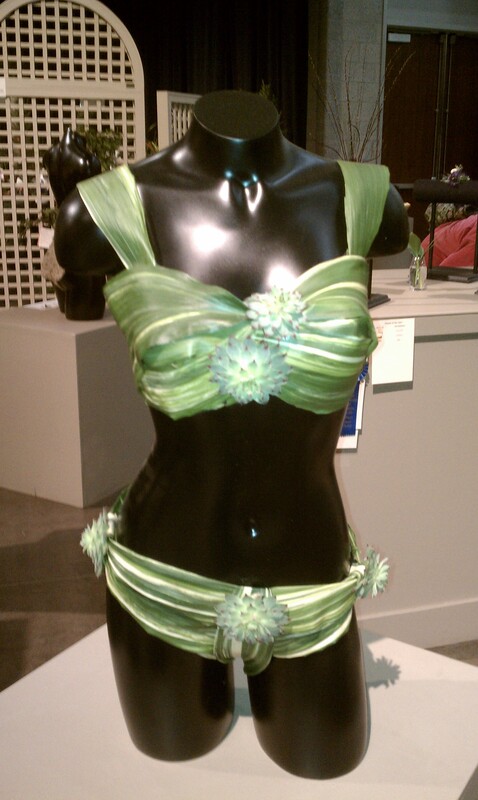 The winning bikini design was lovely. The judges comments were: “Stunning effect achieved with minimal natural composition.” That’s an understatement! The plant material is Aspidistra and Echeveria. Kudos to Julie Lapham from the Southborough and Worcester Garden Clubs. Just WOW! 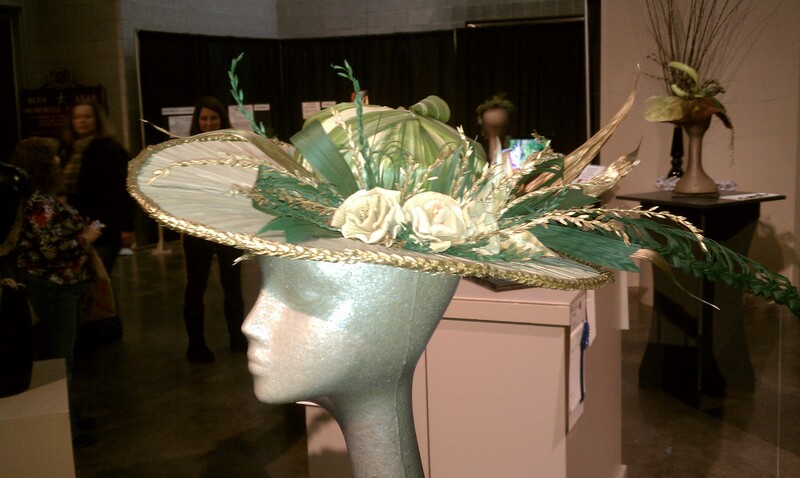 And the first place hat was lovely too. Made of Cast Iron Plant, Chinese Fan Palm, Rye, Corn, Milkweed and Areca Palm and Cryptomeria Japonica Cones. It would be great for an Easter parade! 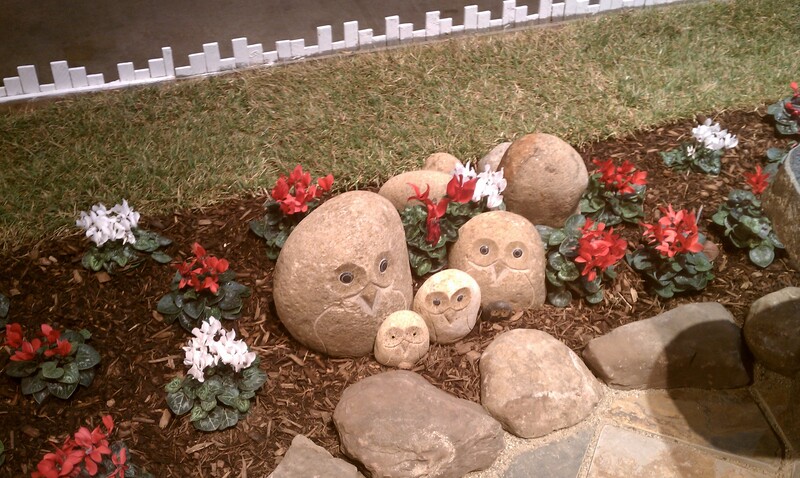 Overall there was a great mix of sights and smells to make this Flower Show a total joy! Remember the rich, sweet smell of a hyacinth? I couldn’t resist and bought myself one. Smells good enough to eat! And touching the tender leaves of azaleas and delphiniums was more like a caress. How I’ve missed those flowers. And there were many fountains with burbling water and I watched fat, orange coy in lily pad ponds. It was a real treat for the senses! The four day show started yesterday and runs through Sunday. It’s worth the $18 adult admission. 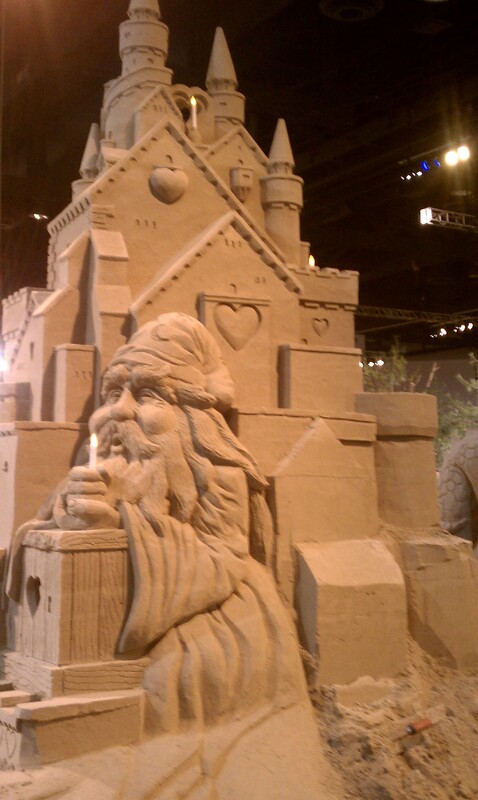 And don’t miss the sand sculptures! They are a delightfully playful surprise amid the flowers and gardens. Enjoy!